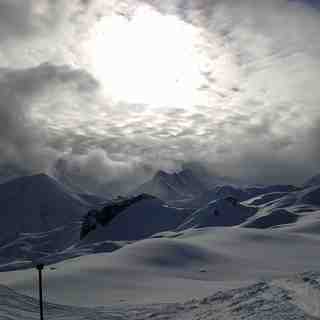 Is it snowing in Ischgl ?Thank you! 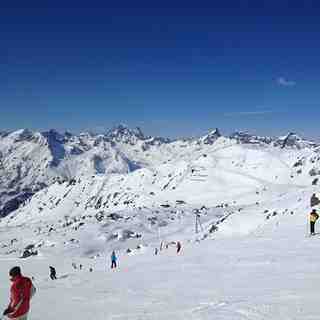 Lifestyle island for winter sportsmen: The Tyrolean ski resort of Ischgl is an alpine lifestyle skiing location. The famous Ischgl winter enraptures its guests with uninhibited holiday flair, offering everything from skiing in the very finest style to concerts with international stars, entertainment, events and the highest quality of shopping all the way to outstanding culinary creations. 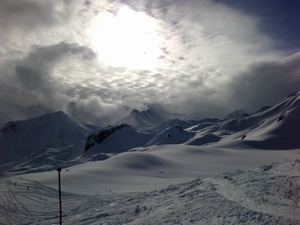 In Ischgl, in Tyrolean Paznaun, we live and breathe superlatives. 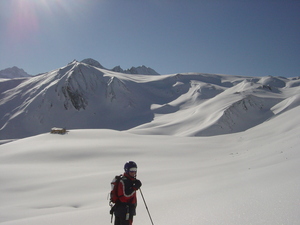 In winter the area offers a perfect mix of excellent winter sports and incomparable entertainment. It's not for nothing that the village, with a population of 1,500, is known as a perfect winter sports Eldarado, which has received multiple awards from both national and international media and offers round the clock entertainment. The service at the Silvretta Arena is improved every year, so that in Ischgl even skiing is a real experience. 'Top of the Mountain' concerts with international stars, held in the middle of the ski piste, represent a unique form of entertainment, gourmet huts offer avant-garde architecture and exclusive ski cuisine. 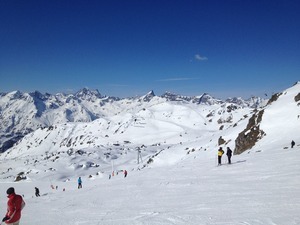 Of course Ischgl is a perfect resort for skiing – incidentally, the largest connected one in the Tyrol – with the most modern equipment and guaranteed snow until the beginning of May. In the Silvretta Arena, more than 235 kilometres of piste lead to a height of almost 3,000 metres, then back down into the Swiss tax haven of Samnaun. As a ski resort with entertainment value, Ischgl is unique: there's an excellent après-ski atmosphere in the establishments along the Ischgl promenade. Shopping boutiques or restaurants as good as in any big city, cigar lounges or clubs, even after the day's skiing there are plenty of possibilities to suit every taste. Apart from the three 'Top of the Mountain' concerts, the Ischgl events calendar is filled with events such as the snow sculptures competition with international artists, numerous sports events like for example the Frejins Snowboard Freeride Inferno. The winter season in Ischgl starts with the opening on 27th November 2010 and finishes with the legendary 'Top of the Mountain' concert on 30th April 2011. 05.12.2010 8th Ischgl "Devils Run"